The most important factor that enables us to notice the content in the social media is the visual. The more attractive the visual is, the higher our interaction will be. However, the standards of the images prepared for social media are very different from the standards of the images prepared for printing. A graphic designer preparing designs for printing can not easily design images for digital. The dimensions that images need to be prepared for are different for all of the social networks apart from the fit of the images to the digital. Before entering the visual dimensions, let us briefly introduce the types of content. What Content Type Should I Use? We have a road map that we need to follow when preparing content for social media. First, we can not determine what our content is, and we need to reconcile with the concept. Once we have identified the appropriate concept, we must decide what the content type will be before we can visualize it. We have to decide what the purpose of our content is first. What do we expect from the user who sees our content? When you see the content, click on the link, click on the link, tag your friends? What do we want? After we have determined our purpose, the type of our content will also be revealed. 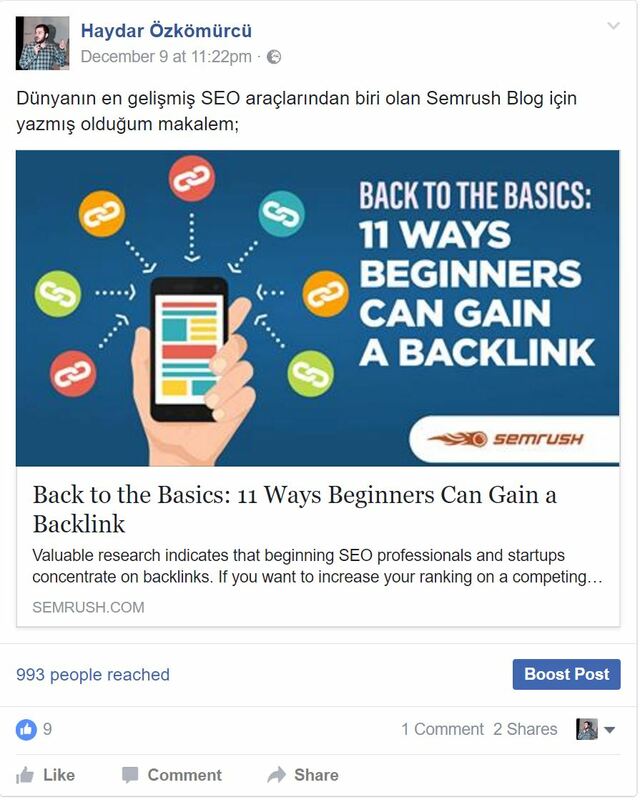 If we click on the link for the purpose of our content, we must prepare our content as Link Post on Facebook. The visual size of the Link Post is 1200 × 628 px. If you are not going to write text to the top and bottom of the design, you can also prepare the image in 1200 x 600 px dimensions. This way you can make the same image available for Twitter. Link Post has 3 different areas to edit. Share text, title and description. In these 3 areas, the main purpose of the submission is to serve the link click. For this reason, we need to add CTA (Call-to-Action) text to these three fields. Click "" if you want to learn "" click for more information ". Because we said we need to prepare our content to the level that a jerks can understand. Users will not click if we do not click "click". If we are to get interactivity (taste, comment, share) our content preparation will be our content type Photo Post. When preparing the photo submission, we must keep the size at least 1200 × 1200 px so that we can use our content in Instagram ads when necessary. Instagram advertisements may suffer from smaller sized images. What happens when I use a photo with a size of 1200 × 600 while using Photo Post? In such a case, the image you prepared may be shared on Facebook page, but your image will only cover half of the screen. But when your content is square, it covers the entire screen. The more you see your user content in a large area, the greater the chance of interacting. If we take into account that 70% of Facebook users use mobile, we will increase our interaction rate without optimizing our visual for mobile. If our goal is to get more viewership, then our content must be video content. Video posts are content that reaches the highest reach. The least accessible content is link posts. If we want our content to reach high access values ​​but we can not prepare video content, we must share our content as a photo album. Photo albums reach higher access numbers compared to single photo sharing. What should be the visual dimensions of social networks? We designed our basics for Facebook in two different sizes. 1200 x 600 px and 1200 x 1200 px. The images we will prepare for Twitter should be 1200 × 600 px. Only some of the images at different sizes can be displayed. In Instagram, visuals from any size can now be shared, but absolutely our images must fit in the square format. So basically we will have to prepare 2 different visual sizes. Google+ and private agencies as Turkey prepares content for LinkedIn already do. You can also use the images you have prepared for Facebook and Twitter in these circles. When we prepare the visuals, we still need to prepare the appropriate content. If we are going to advertise the post (we should not have the content we do not advertise) we need to comply with the 20% text rule. The more text you have on Facebook, the lower your access values ​​are. For this reason we should use at least as much text as possible on the visual. It would be useful if we could give our message in the form of sharing as much as possible. If our content is link post, we can give the CTA visually by giving the message "click here" on the image. This greatly increases the rate of clicks. Where can you prepare your images? There is no need for a person who prepares content visuals for social media to be a graphic designer. Of course, being able to use Photoshop will relieve your hand quite I www.canva.co you can also produce very good quality images. Especially when you design using Canva's visual upload feature, the visuals can be highly interactive.